To anticipate and meet both the short- and long-term needs for energy imposed by climate change, environmental intelligence can help the industry make decisions to prepare for risks, protect assets, and develop infrastructure resilient to the impacts of climate change. In the summer of 2011, during a period of extreme heat, a 500-kilovolt, high-voltage transmission line from Arizona to California failed, starting a chain of events that eventually shut down the San Onofre nuclear power plant. Approximately 2.7 million customers serviced by San Diego Gas & Electric lost power. Extreme drought conditions in Texas caused the city of Grand Prairie to become the first municipality to ban the use of city water for hydraulic fracturing, a decision replicated by many other Texas water districts to protect water resources during drought conditions. To assist in building a reliable domestic energy future, the National Oceanic and Atmospheric Administration (NOAA) provides decision-makers with the environmental intelligence, data and expertise to effectively anticipate changes, prepare for risks, and invest in a more resilient future. Two-fifths of the nation’s freshwater use is for power production. One specific risk to the U.S. energy industry imposed by climate change is the industry’s increasing dependence on waning water resources. Two-fifths of the nation’s freshwater use is for power production.4 In fact, nearly every form of energy production employed in the U.S. today relies on sustainable water resources, including fossil fuels, nuclear power, biofuels, hydropower, and some solar power systems. This highlights the potential consequences of the decreasing availability of water due to changes in rainfall patterns and reduced snowpack. Additionally, environmental intelligence can aid in the assessing equipment requirements for heavy power line loads during extremely hot or other severe weather. The Severe Weather Data Inventory (SWDI) generates information critical to the detection and evaluation of severe weather, as well as preliminary and verified reports of storm damage. These and other environmental intelligence sources can help the energy industry prepare for changes brought on, and exacerbated by, climate change. One of the best paths toward reducing the energy industry’s long-term vulnerability to climate change impacts is to further diversify its portfolio. The National Oceanic and Atmospheric Administration (NOAA) has been working with industry and other Federal agencies to research weather-driven, renewable energy. For instance, NOAA has partnered with the Department of Energy (DOE) and two private wind-energy companies on the Wind Forecast Improvement Project (WFIP). It is working to determine the best locations for future wind and solar energy plants, using weather data and models that develop more accurate wind forecasts from improved atmospheric observations. This environmental intelligence will provide greater certainty for electric grid operators, which will enable them to manage their fossil fuel power plants more efficiently. This also will help lower costs and emissions. Preliminary results show a reduction in forecast error, which has already translated into cost savings for energy generators. In addition, NOAA released the Solar Resource Assessment, which includes a new solar resource database, which is being used by the solar industry to estimate the availability of solar energy in the U.S. Through these projects, NOAA can help diversify energy sources, and support the development, siting, and efficiency of renewables. NOAA provides actionable environmental intelligence needed to ensure preparedness and resilience, allowing communities, utilities and other industries to recover from events, and employ innovative solutions to adapt more quickly. Dell, J., S. Tierney, G. Franco, R. G. Newell, R. Richels, J. Weyant, and T. J. Wilbanks, 2014: Ch. 4: Energy Supply and Use. Climate Change Impacts in the United States: The Third National Climate Assessment, J. M. Melillo, Terese (T.C.) Richmond, and G. W. Yohe, Eds., U.S. Global Change Research Program, 113-129. doi:10.7930/J0BG2KWD. Executive Office of the President. (2013). Economic Benefits of Increasing Electric Grid Resilience to Weather Outages. U.S. Department of Energy. (2013). U.S. Energy Sector Vulnerabilities to Climate Change and Extreme Weather. Davis, M., & Clemmer, S. (2014). Power Failure: How Climate Change Puts Our Electricity at Risk— and What We Can Do. http://www.ucsusa.org. Kunkel, K. E., Stevens, L. E., Stevens, S. E., Sun, L., Janssen, E., Wuebbles, D., & Dobson, J. G. (2013). Part 9: Climate of the Contiguous United States. In Regional Climate Trends and Scenarios for the U.S. National Climate Assessment. Washington, DC: NOAA Technical Report NESDIS 142-9. 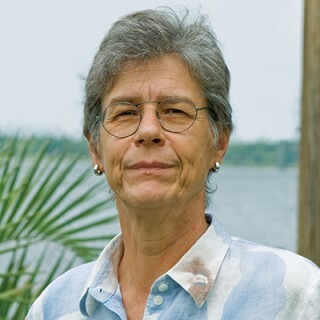 Margaret A. Davidson is NOAA’s senior advisor for Coastal Inundation and Resilience Science and Services. She lives in Charleston, South Carolina, at 8.5 feet above an adjacent marsh.